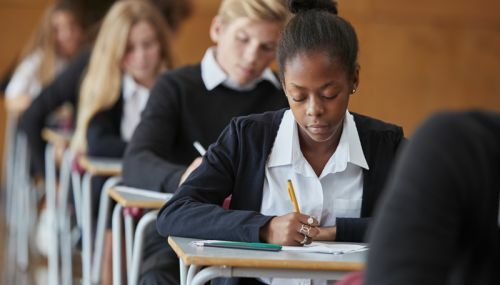 Children from some ethnic minority groups are most likely to aspire to university and aim for well-paid jobs, a new study has found. Researchers from the London School of Economics and the UCL Institute of Education analysed data on more than 12,000 children born in the UK at the turn of the new century who are taking part in the Millennium Cohort Study. The research, which was featured as an analysis piece on the BBC News website, looked at how children’s educational and job aspirations changed over childhood, how they differed between boys and girls, and across ethnic groups. By their mid-teens, Bangladeshi, Pakistani and black African boys aspired to jobs with hourly wages of about £24, while white and Indian boys aimed for careers with an estimated average hourly wage of about £18. By the age of 15, Bangladeshi and black African girls aspired to roles with wages of £21 per hour, Indian and Pakistani girls aimed for jobs with wages of £20 an hour, black Caribbean girls aspired to roles with earnings of £19 per hour, and white girls aimed for jobs that paid £16 per hour. In a further analysis, the researchers examined data from Next Steps, a study of 16,000 people born in 1989-90, to see how closely children’s aspirations were matched by the educational attainment and careers of similar groups in their mid-twenties. For both men and women, about half of black African and Indian people had degrees, or higher degrees, by the age of 25. The proportion of men and women from other ethnic backgrounds who had degrees was lower – ranging from about 21 per cent to 33 per cent. Young Bangladeshi men with degrees were, on average, the highest earners at age 25, taking home almost £550 a week. White men with degrees typically earned £513 a week, but black Caribbean men with a degree commanded significantly lower wages – around £60 per week less than white men who were similarly educated. BBC News analysis: Who are the children hoping to earn £24 an hour? Full report: ‘Occupational aspirations of children from primary school to teenage years across ethnic groups’ By Professor Lucinda Platt and Dr Samantha Parsons.